I’ve got bag fever! Now I’ve started I just can’t stop. 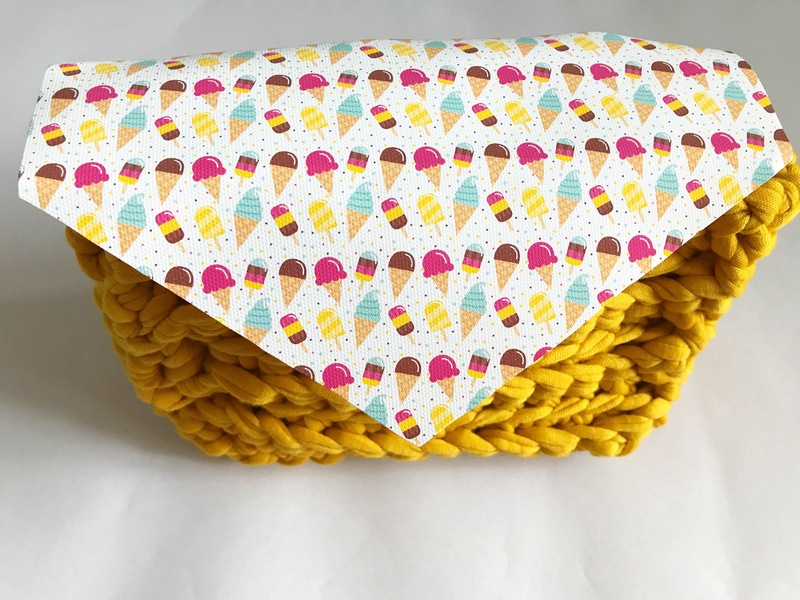 This time round I’ve made a box bag with a fab ice cream print faux leather. 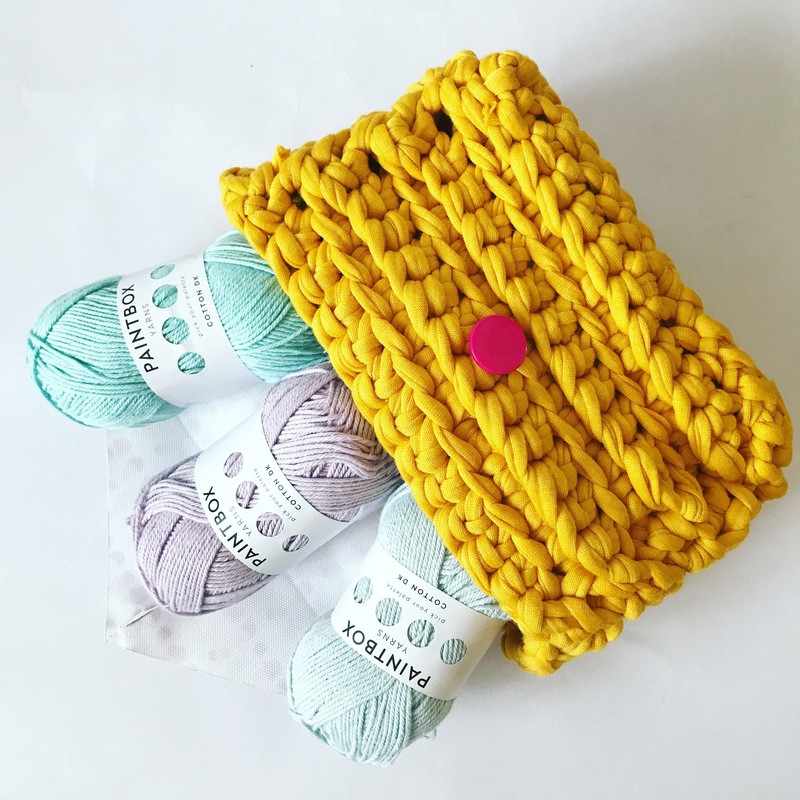 I am absolutely loving the bold mustard t-shirt yarn but it had quite a bit of stretch to it which made it a little harder to keep a neat box shape once I’d sewn the pieces together. I added straps to the bag after taking pictures as I couldn’t decide what to do but in the end I did them exactly as per the Panda Bag. The best thing about this bag though is that it fits 3 balls of Paintbox cotton yarn in perfectly!! 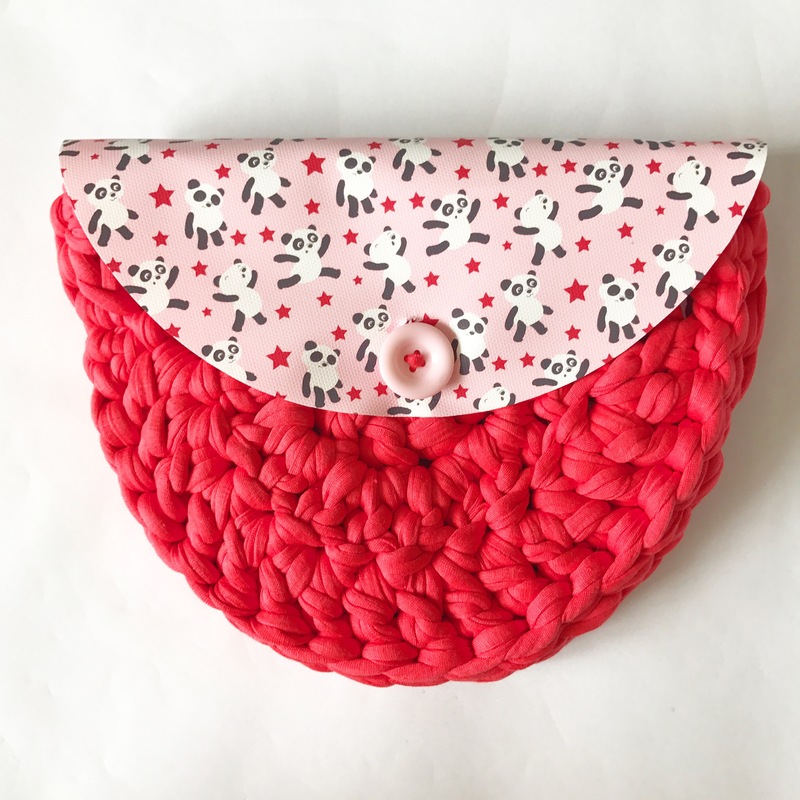 As always you can get your little paws on the pattern here and it’s another one with endless possibilities for colour combos and patterns. 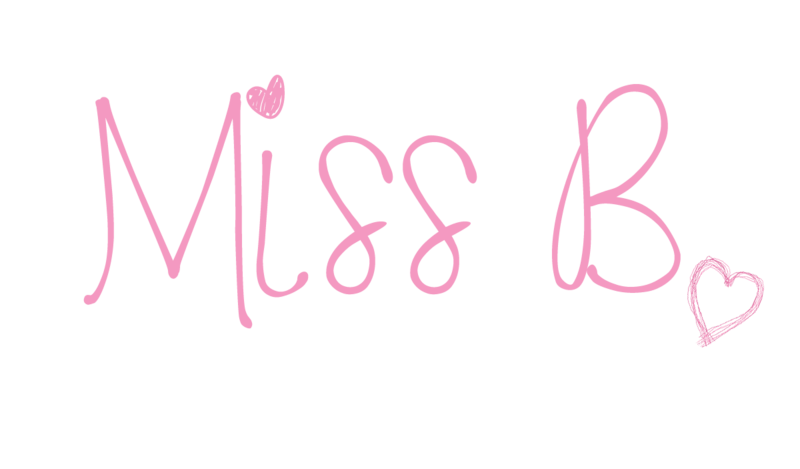 Don’t forget to share your makes by tagging me as I love to see them. I am absolutely loving all the faux leather I have found. It took me weeks to find a decent supplier of smaller quantities of tan leather for the tribal bag and once I did a whole selection of possibilities was opened up! I ordered a few little samples and as soon as they arrived bag ideas flew out of my head. 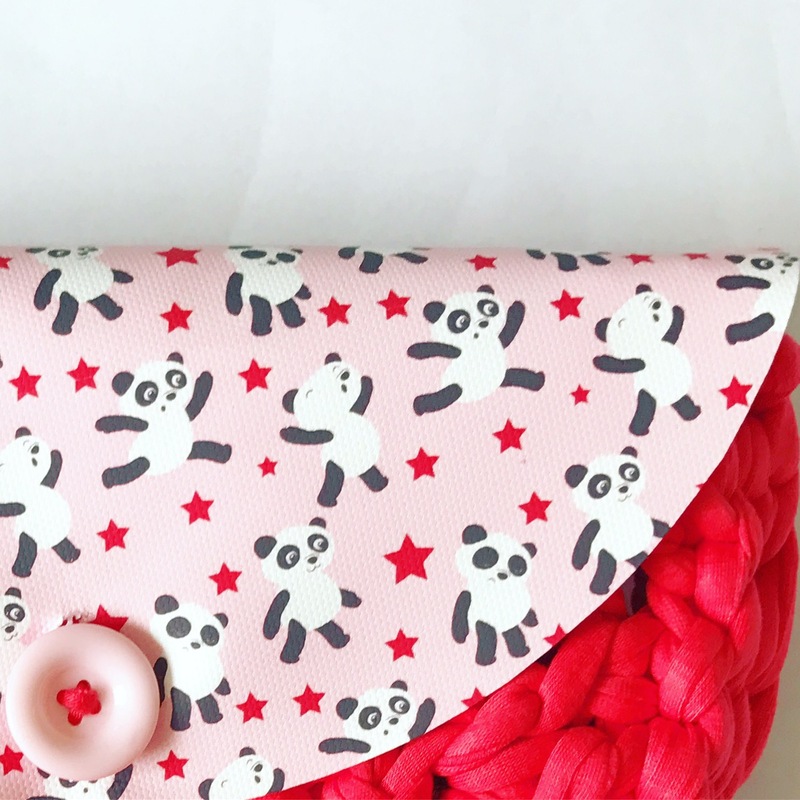 The first of which was this cute kids Panda Bag. Its bold, bright and really fun. 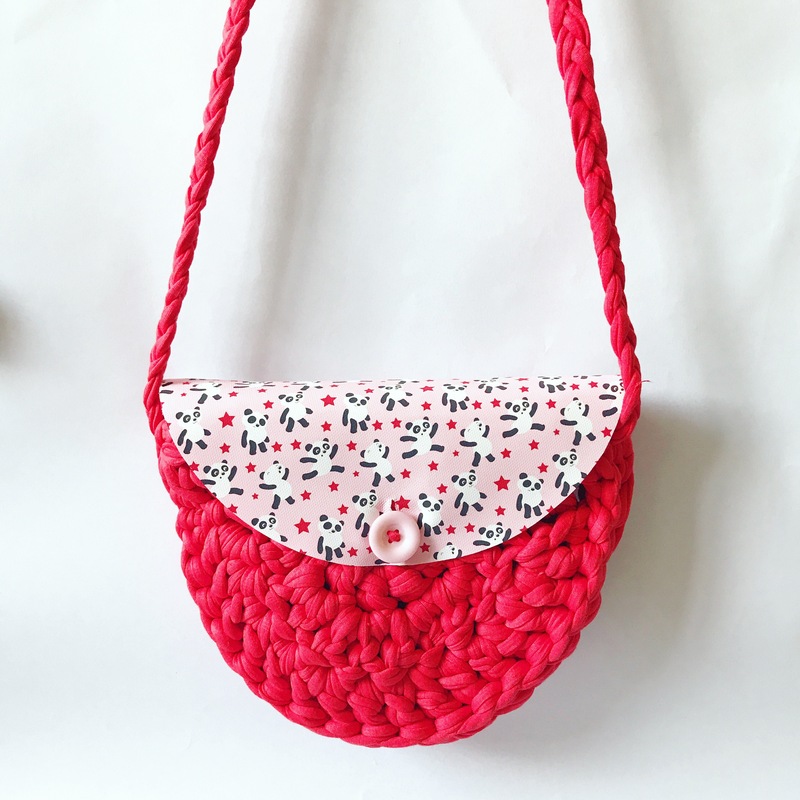 Plus if you want you can just make the shoulder strap longer and its a small adult bag too! 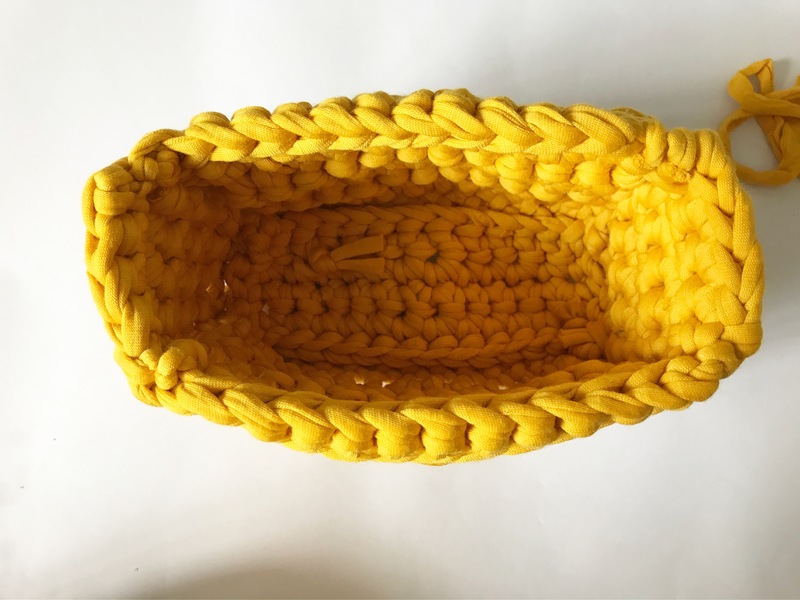 Its made with chunky t-shirt yarn so durable and works up super quick. 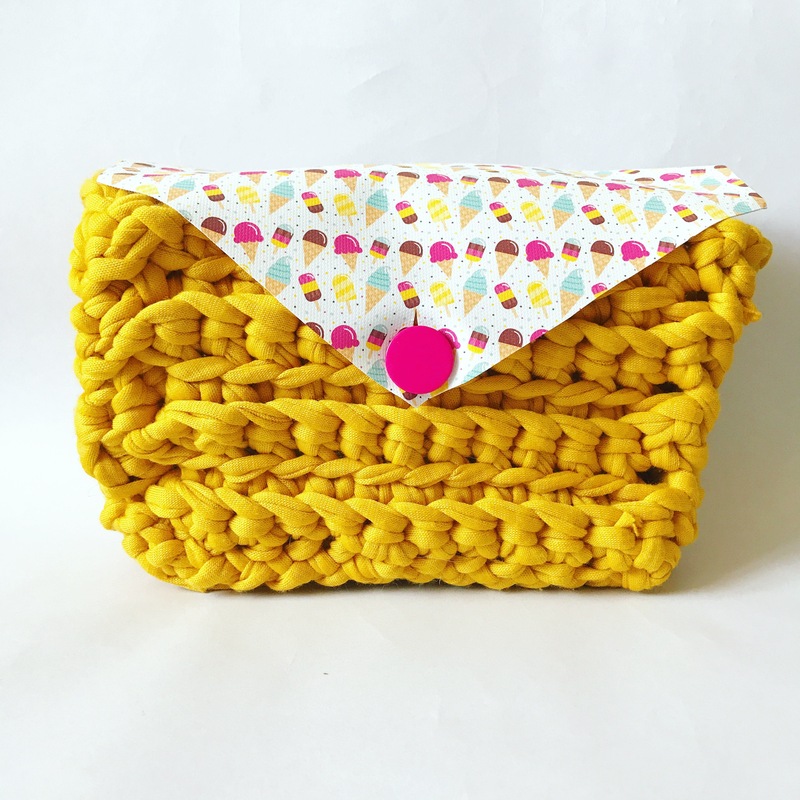 A perfect evening project and the bag would make a fantastic gift for any little lady. 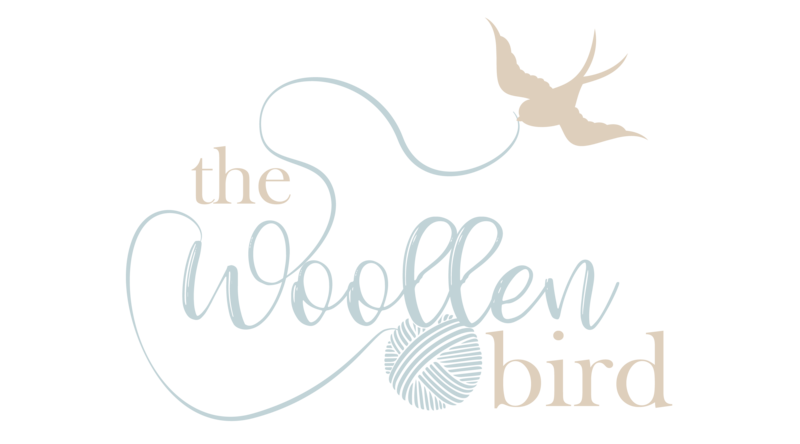 The pattern is listed here for just a few of your pennies. The best thing is this design could work with so many colour combos and patterns. Have fun experimenting.